Series of seven digital prints placed on a ‘no entry’ sign over a 4 week period. Representations of the sun appropriated from the internet allowing us to view one of the most represented objects in human history which we are unable to look at with the naked eye. 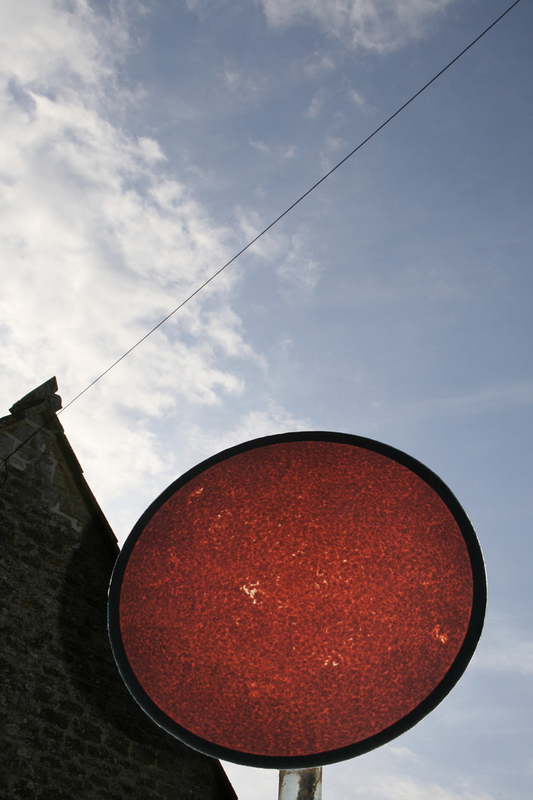 Inspired by Somerset born artist Brian Rice’s ground breaking abstract prints, which in turn took inspiration from road signs and the visual clutter of modern life in the 1960’s, this series of work interrupts the language we use to interpret and understand contemporary public space.